You just received a bouquet of flowers from Makati Flower Delivery, it is good idea to rehydrate the flowers so that it will last longer. The best way to hydrate it is to place it in a water container. Choosing a container for your flowers is quite simple. Any container that can properly hold water will do: tall mug, pitcher, vase, tumbler will do. If you prefer to use wooden boxes or wicker boxes which does not hold water, we suggest you conceal a plastic container inside the box so you can water the flowers regularly. Some vases are built to be a little heavy in the bottom to provide additional support for taller flower arrangements. Tall vases will work for longer stem flowers such as tulips and Ecuadorian roses, just make sure the vase can support the height of the arrangement. 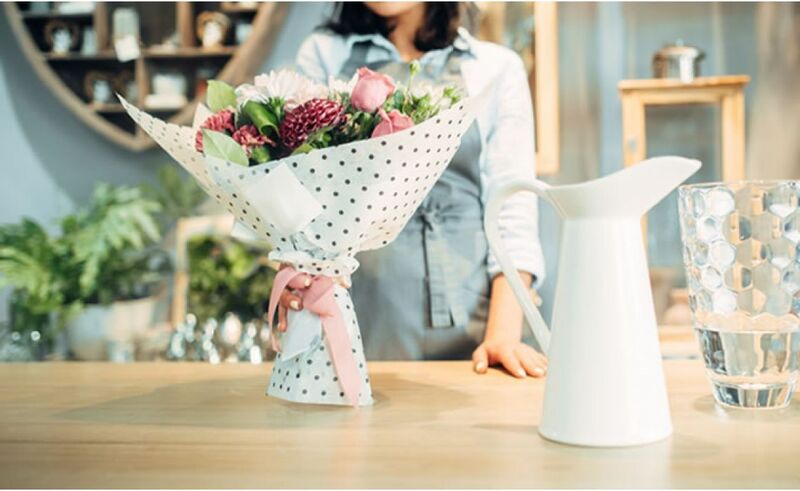 A medium height vase or a vase with a wider opening will work well if the bouquet you received has shorter stems or bulkier, these may be a bunch of daisies or carnations. Some urns would also work because it is wider on the top part. It is good to match your vase depending on the situation, mood or occasion. For casual occasions a mason jar, glass pitchers, ceramic mugs and ceramic pots would do. While for a more formal event you may want to use silver-plated or gold-plated containers. Crystal vases would also do the trick if you have one. If you have tall bottles you can use them for single stem flowers or as much as long as it fits freely on its narrow neck. Some uses tea sets whether silver or ceramic would look nice with some colorful flowers. Some uses old pitchers, ceramic syrup containers, flask, laboratory glass containers, empty liquor bottles, frosted mugs, mason jars, and milk bottles to name a few. Neutral container colors such as white, black, grey and glass are easy to use because it matches any flower color. If you have a colored container that does not match your flowers, then tie a ribbon with the same color with your flower and it would look better. We hope that this guide would help you find the perfect container for your flowers with what you already have at home. What is important is that your flowers are placed on a clean container and that you replace the water regularly (once a day would be good), so that you can enjoy your flowers longer. Your well-arranged flower will surely brighten any room. We also have a couple of arrangements on our website www.makatiflowerdelivery.com that already includes a vase, if you do not want to trouble yourself or your recipient on where to place the flowers.